Wasn't that antiquated equipment in 86? It was obsolete, but worked, and the current management had grown up with it (these were the days of career path within a single organisation) and were comfortable with it. It was still going strong in ‘88 when I left. 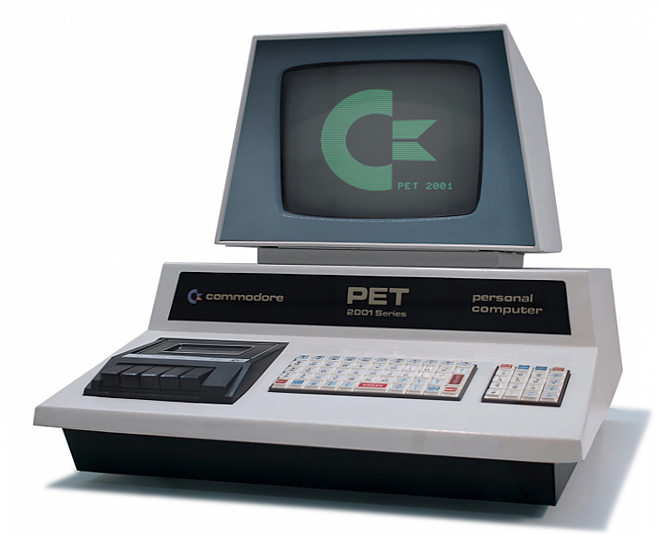 This was my first computer (albeit used at school). 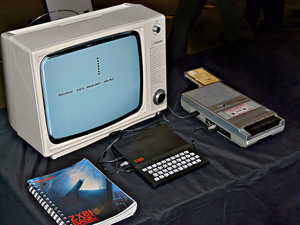 A Tandy TRS80 Model 3, from as far back as 1979/80. I can't recall the exact specs but I know it only had 4K of RAM (yes, 4K); a green on black screen; and a couple of either 7" or 5" floppy disk drives. Looked the bees knees back then but it was incredibly slow, heavy and noisy! a green on black screen; and a couple of either 7" or 5" floppy disk drives. There was another model with 8" floppy drives. The word processing department used them at a hospital I worked at in the 1980. They got chicken bones in the keyboard.s I was amazed. Prior to working for Lothian Council I was with a local light engineering firm, running their job costing and stock control system. This was on a Commadore Business Machine (it said so, right on the front), with 32k memory and twin external 5 1/4 floppy drive. Ah yes, the "good old days" with green lettered screens, two floppies, and (for me) a 20 meg hard drive. Running at 2.4 ghz (IRC). This is what my first computer looked like. Yep! True Blue IBM, a synagogue was updating to a 286 and they gave us/me this. Worked well for years and years, but soon it seemed SOOOOO SLOOOOOW. My first home computer, bought for £69.99 in 1981 from WH Smiths. I also had to buy a cassette recorder to save and load games. Also bought some computer magazines like "ZX Computing" and would spend hours copying gaming code line by line, and as soon as I clicked "Run" the game would crash without me saving the game to tape first! I doubt there was anything giga about the Hertz on an IBM PC. It was more likely the be X.Y MHz, where X was a low single digit number. Did you paint a stripe on the cassette player’s volume control so you could easily use it? I doubt there was anything giga about the Hertz on an IBM PC. Gads I hated these! No one who typed over 60wpm could use the slow-*ss things!! In the 90s the first server I built was a 486x100 with 16meg and was considered a monster. 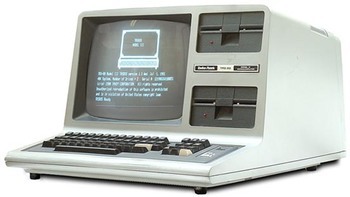 In about 1981 I remember programing with a ZX80 and running out of memory just typing in a program. But then it had a huge 1k. 16 Meg would be a supercomputer at that time. It's amazing how for granted we take todays computer's massive storage spaces! After learning all about Sinclair Basic and Machine Code on the ZX81 and Spectrum machines. 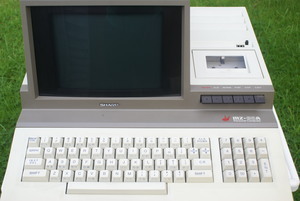 I upscaled to what I still consider to be a "proper" home computer - the Sharp MZ80A in 1983. Not only was it fully integrated (keyboard, cassette deck and monitor) but had a fairly decent 48K of RAM (good for the times) and a decent processor. Still had a green on black screen with some lumpen graphic resolution and basic sounds. But what I liked most was how easy it was to load and save games and other applications too and from cassette tape. No more fiddling about with volume levels and hoping for the best. And the keyboard was pretty excellent too, which made for writing programs and learning new languages like Super-Basic, Pascal Interpreter and Disassemblers.